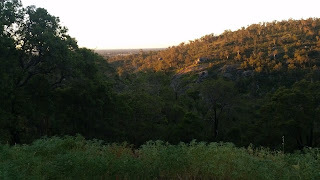 So tonight was hike night at Joey Scouts. 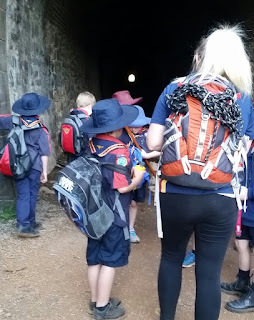 The Joeys were going to hike along part of an old Heritage Railway Trail to a tunnel, go through the tunnel and then do a loop back to the car park. At times O struggles a little with darkness so I sat down with O beforehand to talk to her about the fact that we had to take torches as we were going to walk through an old tunnel. O took it in her stride and wanted to go. 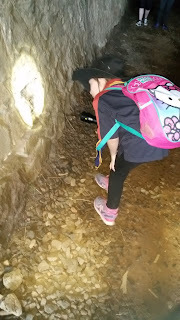 O did really well on the walk, she listened to her Joey leader, she tried her hardest to complete the tasks that were given to them, she even carried her own backpack and was very excited about seeing the tunnel. Unfortunately I didn't take into account that 7 and 8 year old boys think differently to 7 year old girls. 7 and 8 year old boys think it is funny to try and scare their friends and tell spooky stories about what might lie waiting in a dark tunnel! Oh great! 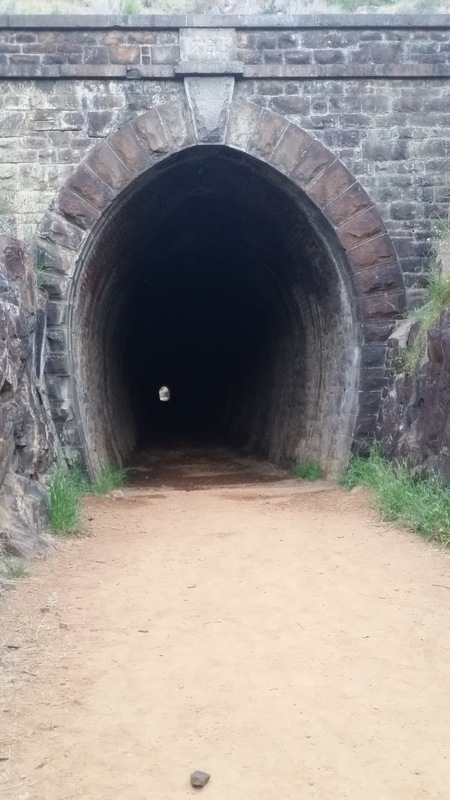 When we got to the entrance of the tunnel, O decided that was it, she was not going any further. She tried bargaining "but we can go round and meet them at the other end!" We had tears and her anxiety started showing its head. After much reassuring from myself and several of the other mums, I was able to convince Olivia to step foot into the tunnel. We decided that we would take it one step at a time, with the promise that we would turn around at the any point if she wanted. O took hold of my hand and took off, very fast, into the tunnel. I honestly don't think that I have seen her walk that fast before. Once she realised that the end of the tunnel was getting closer, she slowed down a little and stopped to look at things that her Joey Leader was pointing out. She even stopped jumping every time one of the other Joey's tried scaring each other - I guess for little boys, that never gets old! Am so proud of O, she overcame her fear of the tunnel and she didn't allow her anxiety to control her. 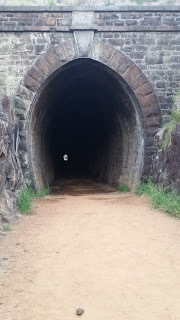 She not only walked through the tunnel but was able to appreciate the tunnel for its history and completed the hike without complaining once or needing to go to the toilet. I didn't realise just how much little boys need to pee when they're in nature! Now to convince her that we should take Daddy and L back to the trail, not necessarily to go through the tunnel, just to go for a walk!